Raj Kumar Saini graduated in B Tech from Delhi Technological University. He got a campus placement as Software Developer at Amazon. He worked there for some time before switching to D.E.Shaw. He has also worked at Adobe, Right Relevance and Caroobi. He is Mentor & Central Head at Coding Blocks, Dehradun. "I did my graduation in B Tech in Computer Science from Delhi Technological University. I got a campus placement as Software Developer at Amazon. I worked there for some time before switching to D.E.Shaw. I have also worked at Adobe, Right Relevance and Caroobi. 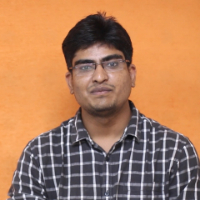 I am Mentor & Central Head at Coding Blocks, Dehradun."